After jumping in to the epicentre of the UK rap scene with the release of his independent Top 40 album ‘Wizville’ and the huge lead single ‘Revvin’ featuring Dizzee Rascal, OCEAN WISDOM is back with the visuals for another huge album joint ‘Ting Dun’ featuring Wu-Tang Clan’s Method Man. Sewn into very fabric of Ocean’s music output, from the tracks themselves to everything aesthetic, is pure, unadulterated hip-hop. Whilst he already boasted an impressive online following and had gained millions of views on his videos, ‘Wizville’ has been the driving force behind his recent surge in awareness and popularity. His incredible delivery and lyrical ability, teamed with first class productions and visuals fast-tracked OCEAN WISDOM to the forefront of our minds and playlists, and with the release of ‘Ting Dun’ he looks to set to remain there too. Coming through with extraordinary execution on a beat interconnected with layers of vocal and hip-hop gold, the two wordsmiths demonstrate their mastery and inimitable styles. OCEAN WISDOM rallies into his double time flow during the course of the track whilst Meth’s mellow tone and wit is delivered with nostalgic precision. Quickly becoming synonymous with the title of UK’s hip-hop visionary, OCEAN WISDOM takes things to new levels on this latest visual release. Grainy film effects sits over low-riders and Cadillac’s bouncing along on hydraulics against the backdrop of America’s East Coast bringing it home for hip-hop lovers and connecting both sides of the pond perfectly. As one of the leading lights in the thriving UK hip hop scene, last month’s announcement of FLIPTRIX‘s album release for ‘INEXHALE’ caused a riot of excitement. Already teasing us with the video releases for album tracks ‘It’s Like That’ and ‘Bagging Up Music’, the conscious emcee now launches into full album mode as he drops the Chemo-produced single ‘New Breath’, premiered by DJ Target on BBC Radio 1Xtra. With his trademark mellow tone FLIPTRIX takes us on a luscious melodic journey, delving into a variety of flows as his lyricism explores purpose in life and the social constraints around us on a daily basis. After revealing the full tracklist for the album this week, which is produced by Chemo, Molotov & Joe Corfield, fans and music critics are itching to hear as much as they can before the album is officially released on 24th August. With UK Hip Hop royalty Skinnyman, Ocean Wisdom, Capo Lee, Coops, Carmody and more all featuring across the 16 tracks, the album provides new talent, varying genre flavours and highly respected pioneers of the UK sound. 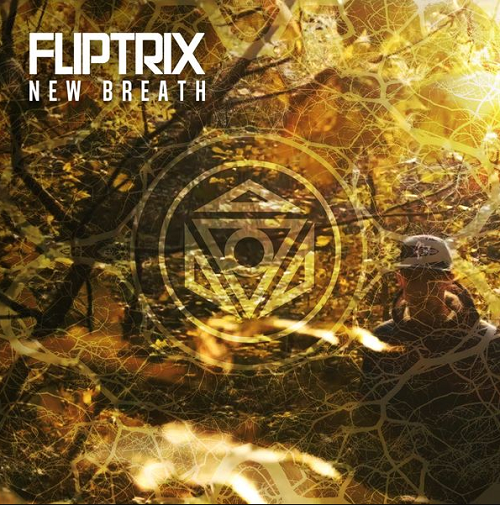 ‘New Breath’ was released on his own label High Focus Records, which has grown to be the biggest independent Hip-Hop label in the UK over the last 8 years, being home to Rag’n’Bone Man’s early projects and most recently achieving an independent Top 40 with Ocean Wisdom’s Wizville album earlier this year, FLIPTRIX has released a staggering 7 projects since 2007. He is also a member of super group The Four Owls, who dropped 2 of the most classic records in UK Hip Hop history (‘Natures Greatest Mystery’ in 2011 & ‘Natural Order’ in 2015) and have successfully toured the world numerous times and collaborated with the legend DJ Premier on the monumental ‘Think Twice’ single. Check out the video for banger ‘New Breath’ – and if you’re in the London area on the 26th August, be sure to catch FLIPTRIX headlining his show at Jazz Cafe. 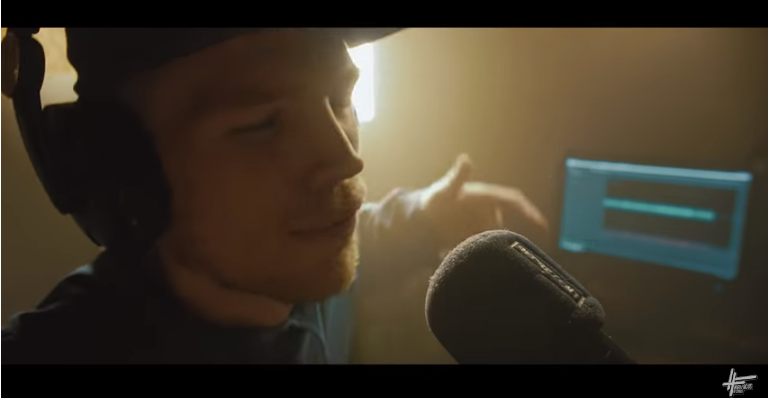 Solid UK Hip Hop contender FLIPTRIX releases visual for latest single ‘Its Like That’, the first insight his forthcoming album project ‘Inexhale’. The South London rapper become a pioneer and integral part of the UKHH scene. Releasing an impressive 7 projects since 2007, he is also a member of super group The Four Owls, who dropped 2 of the most classic records in UK Hip Hop history (‘Natures Greatest Mystery’ in 2011 & ‘Natural Order’ in 2015), have successfully toured the world numerous times and collaborated with the legend DJ Premier on the monumental ‘Think Twice’ single. Alongside his artist success, FLIPTRIX is also the founder and director of independent label ‘High Focus’, which has spearheaded the UK Hip Hop movement for the last 8 years, being responsible for releases such as Rag’n’Bone Man’s early projects which set him firmly on course for superstardom, and most recently achieving an independent Top 40 with Ocean Wisdom’s Wizville album earlier this year. The label, which began in 2010, has previously been nominated for best small label at the 2015 AIM awards, whilst its YouTube channel HighFocusTV has gained over 132 Million views and boasts almost 250,000 subscribers. 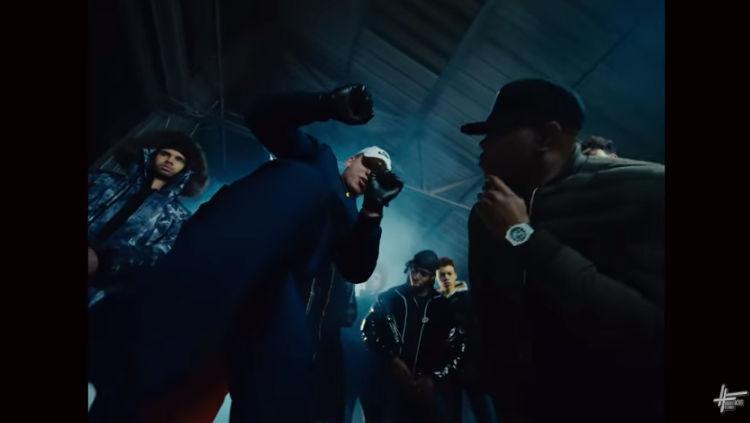 OCEAN WISDOM releases his album along with the video to ‘Revvin’, featuring one of the UK’s biggest stars Dizzee Rascal. The record is one of the many golden finds from the album, showing off the rappers warp speed flow and double-time delivery, which is one of his many unique eccentricities. Joined by the Boy In Da Corner, Dizzee Rascal, who described OCEAN WISDOM during their studio session as a “mental lyricist, one of the best I’ve heard period”, brings his own flavour and vibe to the track adding his own quick-time flows and savage bars that leave you in awe of the talent coming from one tune. Following its radio premiere with DJ Target on his BBC Radio 1Xtra show, ‘Revvin’ tipped the BBC website as the most listened to track from his shows throughout the week and was subsequently chosen as the DJ’s Record Of The Week on the station. As the second visual to drop from the album, the bar is raised by OCEAN WISDOM on his own work as nostalgia, energy and raw venom spin out of the scenes. Filmed at night surrounded by their own crews, the rappers are clearly at ease and in the moment as they drip with effortless swag to deliver a dope video that captures the essence of ‘Revvin’. Both wrap their flows around the beat perfectly, bringing an old skool vibe and blowing up the beat for one of the biggest tracks on the album. 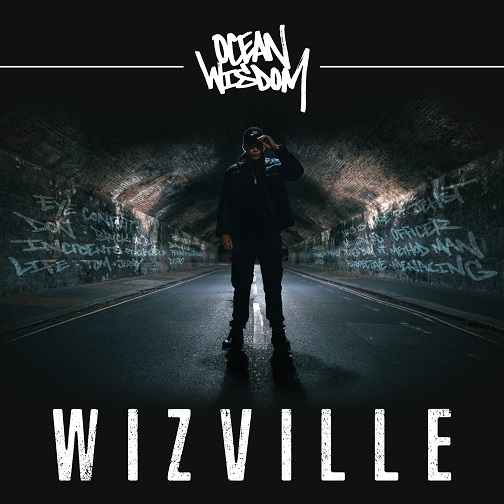 Released on the 23rd February, ‘Wizville’ is the pinnacle of OCEAN WISDOM’s work so far. His unswayable integrity and confidence towards his music has awarded him with the kudos that it takes to confirm artists such as Dizzee Rascal, Method Man, P Money, Rodney P, Roots Manuva & Chester P and productions from Rude Kid, Pete Cannon, Mystry and more, across the 20 impressive records that make up this important offering. Whilst unique blends of genre-merging flows weave in to thought-provoking lyricism to create a tapestry of moods, emotions and sonic nirvana. Having built an impressive following in his own unique way, away from the tried and tested routes of fellow rappers, the raw poetic and unfiltered rapper signed to High Focus Records in 2014, (the label that has spearheaded the UK hop-hop movement for the last eight years, including ‘Rag’n’Bone Man’s’ first projects that set him firmly on course for superstardom), and regularly tips a million streams on tracks uploaded to his Spotify account as well as his YouTube hits netting over 15 million views. Through his versatility and unparalleled lyrical creativity, stage presence and flow, OCEAN WISDOM delivers major impressions in each aspect of his artistry, from performing to main-stage crowds of over 10,000 people to dethroning Eminem as the ‘fastest rapper’, after managing to fit an impressive 4.45 words per second into his track ‘Walkin’ compared to Eminem’s 4.31 words per second in ‘Rap God’, as documented by UniLad. This article would go on to become viral, drawing praise for Wizzy as well as being commented on by some of the industry’s forerunners such as The Game, D12 and Akon.